Placed in the northern part of Mongolia and high above ocean level, Ulan Bator is the capital city, known for its freezing cold temperatures due to a mountainous landscape. At the Terelj National Park, you can stay in a ger tent in the middle of the park. It is one of the best places to see in Ulan Bator, where you’ll have the opportunity to enjoy a beautiful attraction with many forests, rivers, and rock formations. The best way to explore this countryside marvel is by renting a horseback ride that can traverse safely through the rough roads leading to this treasured gem of Mongolia. For the ultimate experience, spend an overnight stay in the ger camps. The best time to visit Ulan Bator is amid the Mongolian summer which occurs from June until September. In July and August, the rainy season, there are enough downpours to help the landscape achieve lush vegetation and an all green vista. Summer is the top season for most travelers and clearly this likewise prompts higher costs. In May and September, the costs are a considerable amount lower and lines for prevalent attractions are significantly shorter. However, there is a constant threat of intense storms. It is not ideal to go during the off-season months (November - April), unless you have an extraordinary objective or some important matters, or you like low costs and hate tourist traffic. During this winter season, you’ll need lots of clothes to stay warm, although it won’t be hard to get around. When in Ulan Bator, you must venture onto an excursion to the Terelj National Park. Some compare the mountains and valleys of this area to the American Wild West. You can see it in the landscape herds of yaks, the cowboy and his horses, sheep, cashmere goats and even camels. The site of Turtle Rock is quite unique and well worth the photo if you are adventurous enough take the detour. The Temple of Princess is also well worth a visit even if access is almost as dangerous. You will need a 4x4 SUV to approach this unique place of worship. You’ll travel up a winding path lined with panels of wise sayings or comments, all numbered. Then you continue driving until you reach the main temple; where there are plenty of variegated colors and a tribute to Buddha Even Shiva, surrounded by colorful drapes and carpet classic pattern. You can do so many things here, like visit the Buddhist Monastery of Gunji and meet the monks, and watch the prayer mills turn in one direction. You will end up in the small pavilion with a wooden walkway and find the honored Chinese princess who has supported the Mongolian people. Everywhere you will find traces of shamanism with "hadags" consisting of widths of blue, green or yellow tissue sites or sacred trees. Take the time to dine at the Terelj Park Hotel after the trek. 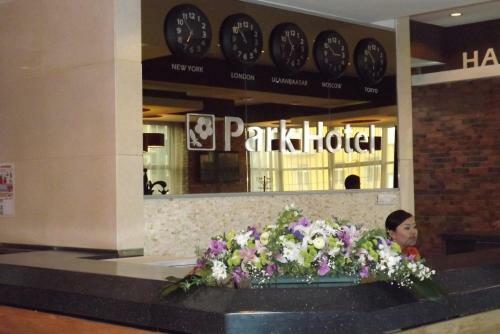 The hotel also houses a rare statue of Vladimir Lenin recovered from Ulan Bator City while most have been destroyed at the end of the Soviet regime. The site also includes a beautiful yurt (the Russian term) for ger houses with beautifully carved doors. Take the 3-hour horseback riding tour and rent a guide as well. To get back to the city after your fabulous tour of this complex, you can take the public bus transport - preferably in mid-September, when the weather is hassle-free. The Zanabazar Museum of Fine Art contains stunning masterpieces and collections of Mongolian art from various centuries and sculptures for public view. You must pay a fee for photography, but it is worth it. This museum is a must during a visit to Ulan Bator. It mirrors the country’s history through art. The museum is very well constructed and every piece of art is divided into sections, properly captioned and well lighted. The tour begins with prehistoric art and ends up with a collection of current masks, and are explained in multilingual videos. The Tumen Ekh Ensemble is a group of performers featured at the National Opera and Ballet of the Mongolian capital. This is an opportunity for guests to discover the Mongolian vocal music performed by the cast of their official "National Song and Dance Ensemble". The Tumen Ekh is popular for its singers and its national instruments whose forms are particularly aesthetic. These musical instruments yangqin, yochin and morin khuur are listed as World Heritage of Intangible Humanity by UNESCO. It is one of the most moving moments of your visit to Ulan Bator. The show starts at 18:00 pm. The building looks a bit typical or ordinary on the outside, but once inside, your senses will be delighted. The entertaining show explores the pagan roots and national songs of folk dance and Mongolia. They use only traditional instruments, dance costume, the shaman dances, etc. and the performance of great contortionists. The performances about the Modern Nomads are very pleasing, but highlight of the presentation is the mask dance and the snake woman. For those arriving in Mongolia, it is an attraction not to be missed. The Genghis Khan Statue Complex is an imposing complex in the middle of the desert. It is about 50 minutes drive from Ulan Bator. Unfortunately, without an organized tour or guide available it is not possible to get there because of its strategic location. The structure contains a museum about the history of Mongolia that is worth a quick visit. There are also pleasant activities for tourists such as photos with traditional Mongolian costumes. The highlight is the equestrian statue, an imposing all metal sculpture of Genghis Kahn astride a horse and visible from a long distance. From the top, you can see the face of Genghis Khan and the boundless extent of the Mongolian territory. It is a particularly busy place, especially on the observation platform. This enormous equestrian statue in stainless steel plates celebrates the national glory of Genghis Khan. It is an impressive 78 meters of steel to honor the great man of Mongolia’s history. The museum at its base is still being expanded. Inside there are shops with crafts and clothes similar to those used by soldiers in the battles of the past. You can even dress up as a Mongol warrior. To reach the top part, you must ride the elevator and you can reach the horse's head and stay well below the monument. Once you get there, you can take beautiful photos of the desert landscape. Indeed, it is a symbolic monumental creation in Ulan Bator. It is the largest monument dedicated to the most heroic rider in the world. You can see the quality and observe all the structural elements of the monument at the highest level. It is said that it took more than 400 engineers to develop and calculate all the details and overall engineering of the memorial. The tourist complex is in development and busy preparing a field with 10,000 soldiers in the surrounding area. The National History Museum is specifically designed to showcase the valor of Mongolia's past. There is a short film showing and on the video playback, you can see full-size horses and equipment used by the army of Genghis Khan. It also displays all the different peoples that settled in the country. It is well located and the Museum is a must visit for anyone who wants to understand the glorious past of the Mongols. It is nearly impossible to pass from Ulan Bator and not visit this beautiful museum, especially if you are going around the square of Sukhbaatar. From the plaza, it is pretty easy, because of the helpful people at its entrance. The rooms are large and full with many remains of the ancient history of early Mongolia. Also interesting is the section devoted to modern times and their independence from the Soviet regime. Within the halls of this museum, you will learn that in the Middle Ages, Mongolia built one of the largest empires the world has ever seen. Under their leader, Genghis Khan, Mongolian horsemen conquered land from central Europe to the Far East. This empire soon fragmented, and Mongolia was swallowed up by China. In 1924, most of it became a communist republic that was strongly influenced by the Soviet Union. The communists took properties away from the country’s noble families and destroyed Buddhist monasteries. They also began to develop industry and sources of livelihood. With the collapse of the Soviet Union in 1991, Mongolia developed as a multiparty democracy. It faced economic problems without Soviet support. At the same time, many Mongolians took new pride in their history and religious traditions which had been suppressed since the 1920s. Though Mongolia has a varied and troubled history the museum illustrates it with pleasant, modern, and comprehensive presentations. Sukhbaatar Square is one of the symbolic landmarks of Ulan Bator. The effect of the huge paved area occupied only by the statue of Genghis Khan in the center is unique. It is a contrast of eras. The historic Houses of Parliament, Palace of Culture, and the State Opera and Ballet rest on three sides of the square while the modern construction of the Blue Sky Tower dominating the remaining side. It is also an excellent starting point for visiting the most important museums and government offices of the city. The busy square is always full of events and people. You can also rent bicycles and electric cars for your children. The Hustai National Park has a vast territory of hills, mountains, and fields, and it is a good place for long walks or trips on horseback. This national park is advertised as a location for seeing Przewalski horses, deer, and other wild animals, but they can be seen only with binoculars and if you have enough patience to wait. This huge animal reserve park is ideal for those who want to know the origins of the nomadic culture of Mongolia. It is 100% recommended if you’re in Ulan Bator. The Choijin Lama Temple Museum is a spiritual place in the midst of the busy capital city. This temple museum is ideal for fans of oriental architecture, religious art, and people interested in Buddhism. 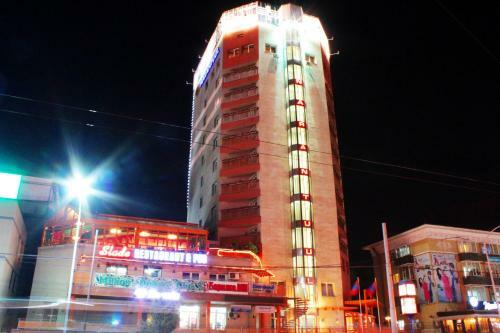 It is very easy to find as it is located in the heart of Ulan Bator and stands out against the skyline and new modern buildings. However, despite the central location of the temple complex in the midst of a chaotic capital city, it has the atmosphere of isolated peace and tranquility. If you want to be at the historic site of Ulan Bator, then be sure to visit this museum. It is located behind the hotel "Blue Sky.” A mix of feelings can be experienced after watching this incredible museum; you will find yourself feeling as if being transported into another time – into the past. To maximize your visit to this museum, explore its halls and learn a lot about the Buddhist temple. Experience their culture and discover new and unusual things about the monk’s life and their way of veneration to the Buddha. Picture taking is not allowed while inside this temple. Modest dress should also be observed. Shoes are not allowed inside; visitors go barefoot while walking around the halls and altars of the temple. Yol Valley is a cramped and cavernous valley that measures 10 km long and is surrounded by imposing rocky cliffs reaching 200 meters high on all sides. Its best and most interesting quality is that, despite being in the middle of the Gobi Desert, the valley builds large masses of ice. A residual 10 feet thick of ice is formed more so in the winter months. It is an ideal excursion and trekking place. You can browse the entire distance on foot that allows you to traverse the entire valley (2.5 hours). It is very interesting because there are few people who visit this attraction. You can also try it on horseback (only if there is no ice in the middle). It is advisable that you camp overnight in this area and spend a day hiking to other, longer, and less traveled paths encompassing the valley. This picturesque canyon offers an excellent location for walking on the sides of the gorge as you tread the rise to the beautiful mountains. In the winter, this very gorge forms a small stream that freezes in the winter and forms an enormous mass of ice. This valley also has beautiful vegetation and wild hamsters running around. If you come in July or August, you will see the “promised ice” in the middle of the desert. But, you will not see the snow leopard and ibex. The animals there are mostly Mongolian pikas. But in general, you will experience a beautiful valley with grass and shrubs, a rarity if it is your first time to travel on the Gobi Desert. The Gandantegchinlen Monastery is the country's largest monastery. It is interesting to see. Inside, there is a reconstruction of a 26-meter Buddha covered with gold leaf. It was reconstructed because the Russians destroyed it. You should visit around 10:00 am to see the monks in their prayers. There are usually a lot of people (and pigeons) which makes it a unique experience, not only for the monumental part, but also as an example of everyday life. Do not miss the building with the giant Buddha; it is spectacular. At the heart of Ulan Bator is the largest Mongolian temple complex, allowing every spectator the opportunity to plunge into the life of the Buddhist monks. You’ll be able to watch as the monks recite the mantra, create a mandala and be immersed in meditation. You’ll be there to walk on campus and scroll all the prayer wheels, and feed the pigeons populating all the open space and wire handrails. Everywhere, you can see golden prayer wheels and the all believing Mongols walk along and press the squeaky mills. In such a space, you’ll travel clockwise around the room and leave the room backwards because you can never turn your back on Buddha as exemplified by the praying monks. In the white temple, stands a 26m high golden statue of Buddha which was also built recently, after everything was destroyed during the war and the gold and the jewels were stolen. The imposing Buddha in the middle of the room is surrounded by 2,000 other pieces of small Buddha. The place, in its own, is beautiful, mystical, and colorful. A visit to Ulan Bator Mongolia is an eye opening experience where you, as the eager spectator, will learn to comprehend how much they value their historic past and main religion: Buddhism. They honor the man who is responsible for their freedom from the early settlers with huge monuments. Its museums provide insightful details about their historic past in a manner that is easily understood. Another impressive quality of the city is that they have managed to keep everything intact, as they have a deep respect for their heritage. They maintain all of their historical attractions and share them free with the public as much as possible. If you come to Mongolia, include the city of Ulan Bator in your bucket list of exciting places to visit.